Xinhua (New China), the official state-run news agency has recently unleashed the AI anchors. These AI anchors are in fact digital composites that are created using footage of human hosts who read the news. Although the technology used to create these anchors is unknown yet, it is said to be the most recent research in machine learning. Probably, the used footage of human anchors has been used as a base layer along with the animated parts of the face and mouth to make the speaker look like a virtual puppet (probably like Adobe's Character Animator tool). Later, it was combined with a synthesized voice. 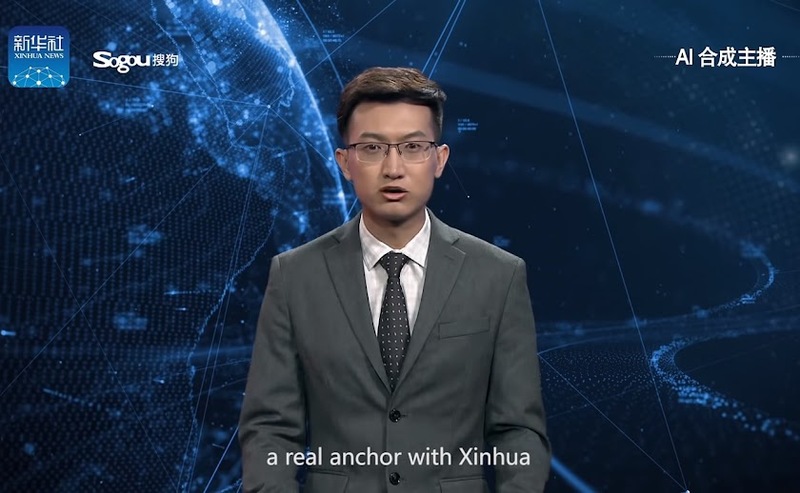 This technique has enabled Xinhua to program the digital anchors quicker than traditional CGI. Xinhua reported that two anchors were created for Chinese and English broadcasts each, in accordance with Sogou, the local search engine company. According to Xinhua, these anchors can be used for a long time to generate news reports very cheaply. In fact, both the anchors can work 24/7 on several platforms that will reduce the production cost. Despite the fact, that technology has been revolutionized, there are still some flaws in this technology as the facial expressions and the voice clearly seems artificial. However, the continuous research in this area is improving it with the passage of time. With these circumstances, we can easily imagine the future. The deployment of such technology in China is really disturbing as the press is always under the censorship by the government and the creation of fake anchors to read propaganda feels horrible. Synthetic characters are making their on-screen appearance slowly and steadily, and a virtual pop star Hatsune Miku and Computer-generated Instagram models have already made appearance.